Unfortunately the format of an ldif file for creating new attributes and classes in the Schema Configuration are differ between Samba4 and Microsoft. The tools are slightly different too. So this article will attempt to make it all clear. As far as I can tell the only way to create a new class with a custom attribute in Samba4 (on the Linux command line) is first add the attribute with ldbadd and then add the class with a seperate ldbadd followed by an ldbmodify command to update the User schema to include the new auxiliary class. This is an implimentation of the Openldap implimentation by Michal Ludvig <http://logix.cz/michal/devel/yubikey-ldap/> applied to Samba4 Active Directory. SASL data security layer installed. Michal Ludvig for defining the schema. 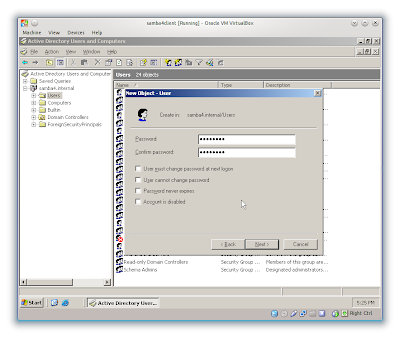 This is an implimentation of the Openldap implimentation by Michal Ludvig <http://logix.cz/michal/devel/yubikey-ldap/> applied to Microsft Active Directory. 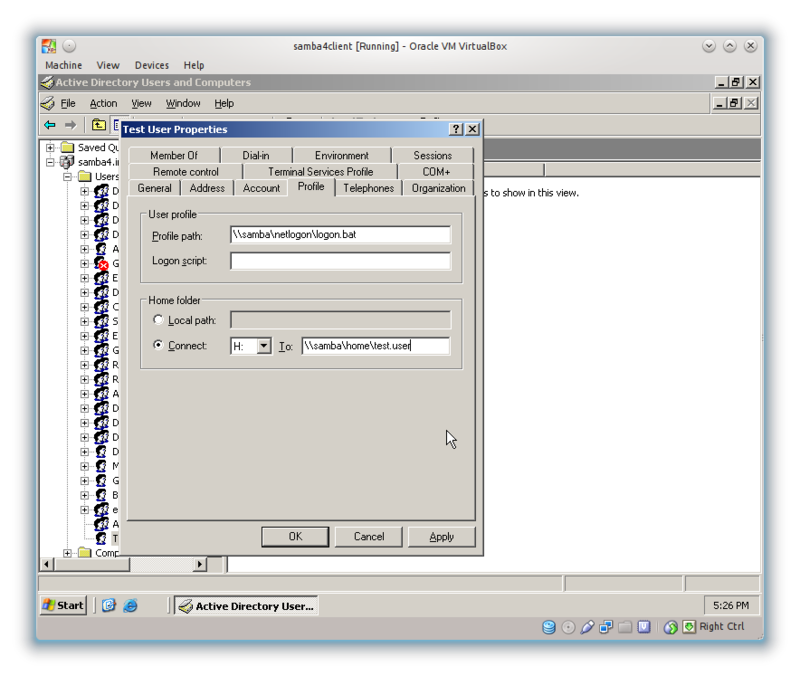 You can use tools like ADSI Edit to manage the keys for users. ldifde -i -f path\to\yubikey-ads.ldif -j . * Click OK until you are finished. # Install with ldifde -i -f path\to\yubikey-ads.ldif -j . This post show's how to extend the Samba4 Active Directory Schema. Specifically for YubiKey integration. YubiKey's can be purchased for a relativlely low price from Yubico. Please visit their website (www.yubico.com) for more information. LDAP Integration is very well covered by Michal Ludvig on his website and github. (http://www.logix.cz/michal/devel/yubikey-ldap/) In fact we are planning to leverage his implementation at our work and are considering donating towards what's obviously a very good cause. Now seeing as though LDAP and AD are so similar and exhibit many of the same APIs, I began to wonder how this might fit in with Samba4. Eventually we might end up using Samba4 for our domain and so I needed to figure out if I could, somehow, "port" the LDAP Schemas for Yubikey to AD. I think I have managed it with extensive help from another blog. Thanks to Kurt Hudson and his wonderful article on www.informit.com titled, "Making AD Work Harder | Extending the Active Directory Schema to Track Custom Info"
In my case this was fairly simple. I just took a snapshot of my Virtualbox image. You need to do this though. Messing with an AD schema can be fairly dangerous, especially if it's a Samba4 AD. Samba's Wiki makes this quite clear. This is fairly straight forward and well explained on the Samba Wiki. First edit your smb.conf and add the following line into the [globals] section. From here on, we will be working in Windows space. The Active Directory Schema console is not registered by default. So register it and create yourself a console. Then use MMC -> Add Remove Snap-ins -> Active Directory Schema snap-in. (follow the instructions on Kurt Hudson's page. You need an attribute before you can create an object class. Right click the Attributes Node and select Create Attribute on the context menu. A message about the permanence of your operation will show up. Well, jump right in. You backed up in step 1. Note, I ticked "multi valued" but in the part where I create a dialogue box to enter the key id's I do not allow for multiple values. That's on my TO DO List. Begin by right mouse clicking Classes and select Create Class in the context menu. So that's the GUI method. My next post will show how to import ldif files to make this process easier. Configuring Samba has always been a pain in the you-know-what. There is always some kind of permission here or there missing or misconfiguration resulting in endless hours of log trawling and frustrated users. So I decided to build a LAB for Samba 4. My LAB is for a fresh install. I have not yet tried an upgrade. Maybe that will come in a later post. The Samba HOW-TO wiki states that some specific mount attributes are applied to your disks. Here is my fstab. For Iptables, I went with an open configuration. You should have a good and proper IPTABLES configuration in your production environment. This LAB is about SAMBA4 not IPTABLES. The IPTABLES script below impliments a SNAT on all traffic to the IP Address of eth0. Your IP address might be different. This all depends on how you configured your host only network in Virtualbox. Once you do this, routing will take care of itself. sysctl -p to read the new value. First establish the following dependancies. (Note I used the groupinstall "Development tools" for convenience. Download and install the latest NTP. DO NOT USE THE Distro Version as it does not support "signed NTP"
Configure dhcpd to provide ip addresses on the internal network. dhcpd should also provide the netbios and wins ip addresses. I did not configure bind or dnsmasq for the Domain. Samba4 Ships with an internal DNS server which is adequate for the purposes of demonstrating Samba4 awesomness. The excellent BIND Nameserver is supported by Samba4 along with dns replication and all that jazz. I have not tried it. If you have, let us know in the comments below how it went. Once Samba is installed and operational there is a step required to make Samba forward DNS queries to your host's network as well as make the OS resolv.conf use the correct DNS. This is because dhclient likes to automagially configure your resolv.conf every time you boot. My work-around is just to overwrite it in /etc/rc.local. Installing Samba4 is fairly straightforward once you have all the pre-requisites in place. It's well documented on the samba4 wiki so I won't get into it in any great detail here. This is my lab smb.conf. workgroups, realm, netbios and server role all define the function of this samba instance. dns forwarder tells samba where to send dns requests for hosts it knows nothing about. The netlogon share is for the logon script. I have a log on script located in it's path and I set the default logon script in windows for each user to point to this script. share is where all standard shares will live. This was easily the most difficult part of the process for me to work out. Once worked out though, it's a piece of cake. Critically your file system must be mounted with the acl mount option. I have figured out that the most straight forward way of managing file shares is via Windows. ie: Let samba take care of the acl entries in Linux. First remove inheritance. IE: The permissions for \\samba\home must not inherit from \\samba. When removing inheritance hit the remove button and remove any other permissions groups / users listed. Run the dsa.msc snap in. Installation instructions for the dsa.msc are covered in the samba4 wiki howto. Bring up the Profile tab under properties for this new user. Here, on the profile tab you should set the logon script for your user and map the home drive on the connect button. When you apply this, the test.user folder will be created on the share for you. The permissions will also be configured appropriately as per the next screenshot. Confirm folder security permissions are correct. Use a similar approach to managing shared folders for group access. So far I have not encountered any gotchas with this approach. I had the occasion recently to deploy an OVM stack at a customer site. Initially it was my intention to only deploy Enterprise Manager 12c and take advantage of the cloud control features within. As it turned out, this provides merely a "remote control" function of an existing OVM Manager. With this in mind, I could not find many advantages to using EM12c for Oracle virtual machine management. The customer had selected the Broadcom® 57810S-k Dual Port 10Gb KR blade NDC on board Network Adapter as well as the Mezzanine Broadcom 5719 Serdes Quad Port 1Gb providing a total of 6 ethernet ports, two of them 10GB. The OVM 3.1.1. Server installation went perfectly well. We selected the 3rd port for management (1st port on the 1g mezzanine card) knowing that ports 1 and 2 were to be used for iSCSI and possibly Live Migration. The blades were able to be discovered without difficulty into OVM manager. Apon inspection, however, eth0 was showing as DOWN in all three blade servers. The iDRAC console also showed that the link was UP but the OS State was reported as DOWN in each case. I was able to successfully configure eth1 and create a single port bond with the appropriate IP address for the SAN and discover the storage. Just without redundancy at this stage. Of course this had to be resolved before production. I did some research and discovered that the OEM 3.1.1. hyper-visor is based on RHEL / OL 5.7 and that the broadcom driver (bnx2x) needed an option to force all ports back to legacy state. modprobe.conf. See the man page for more information. has used MSI before, in these cases system reboot in between is required. INTx mode on all NetXtreme II NICs in the system. Reboot the blades and viola, eth0 shows status UP, ethtool eth0 indicates 10gb speed on the port and the iDRAC console shows all good on the port. I then added eth0 to the bond I created earlier and left it in Active / Backup configuration. I was unable to make multipathing work through the GUI. I suspect that OVM manager only discovers a single path to storage and does not attempt anything further. I am confident that the Active Backup bond configuration will provide sufficient storage redundancy for the storage pool, server pool repository and PVM Guest LUNS. I hope this helps anyone who is also struggling with this issue. Oracle Virtual Machine (OVM) 3.1.1. was released on the 8th May 2012 and finally it's supported on VirtualBox. This is great news for anyone who wants to give installing an OVM Lab a go. Openfiler for iSCSI with a 40GB virtual disk for chopping up into LUNs and iSCSI. 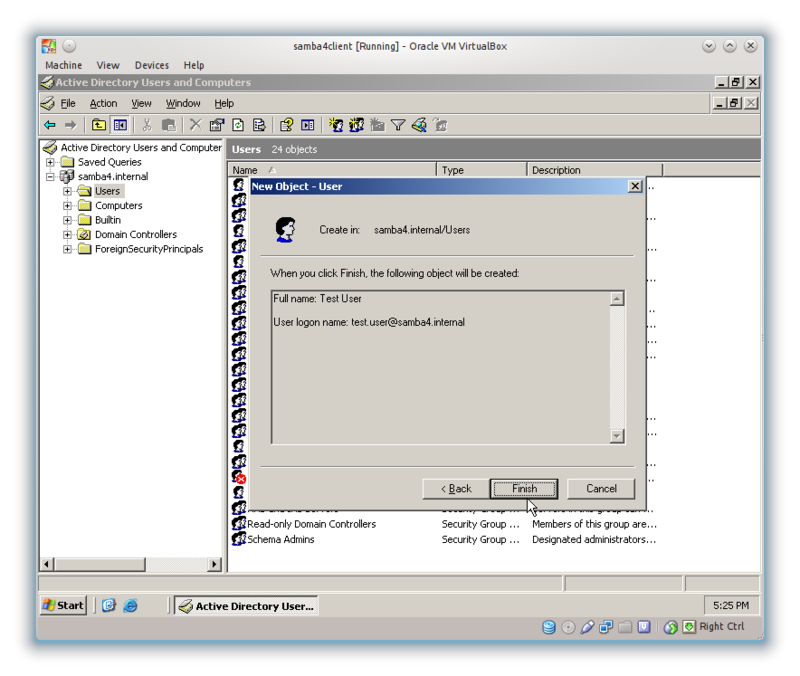 Oracle Linux 6.0 on which I installed OVM 3.1.1. in Demo mode. This guest has 4GB of RAM assigned to it and a 25GB HD. Probably a bit big, but OVM is a large application with an Oracle XE database and Oracle Weblogic services installed, I thought better safe than sorry. Oracle Virtual Server 3.1.1. This guest had just a 4GB HD and 1536MB of RAM which I figured would be just enough to get 1 virtual machine up and running on it. vboxnet1 => 192.168.57.0/24 => Used for the storage network. vboxnet2 => 192.168.58.0/24 => Production network for virtual machines. So I set up openfiler to offer 2x8GB LUNS, 1x2GB LUN for the cluster storage network on my server pool and 10GB NFS Share for the repository. The installation of OVS and OVM on Oracle Linux all went by without a hitch. I made sure that each VirtualBox guest set their own hostnames against dnsmasq using the DHCP_HOSTNAME parameter on /etc/sysconfig/network. This meant that all guests resolve nicely on DNS which is a prerequisite for a successful OVM LAB. The new OVM3.1.1. GUI is actually quite nice. It's more polished and intuitive than 3.0.3. and more of the Right Mouse Button menus are enabled. I also made sure that SELINUX and IPTABLES was disabled in both OVS and the OVM guests. Server discovery went fine. No problems at all. Just enter the agent password and hostname of the OVS server. Storage discovery was a little tricky. The NFS Share (Filesystem share) was no problem. OVM was able to find and mount it wouthout any difficulty. The only trouble I had there was making sure that Openfiler was configured correctly. But that's not relevant to the OVM LAB really. The iSCSI discovery had me stumped for quite some time. I could discover the iSCSI target presented by Openfiler without issue but could not get OVM to show me any LUNS. (Physical Disks) After much trial and error I finally figured out that my OVS server did not have the multipathd service running. Once I enabled and started multipathd (no change to default configuration), I was able to refresh the iSCSI storage in OVM and the physical disks were presented. To recap: First perform iSCSI storage discovery using the OVS guest as the Storage Manager. Then start multipathd on the OVS guest, then refresh the iSCSI storage on OVM and your LUNs will appear. I was able to create a server pool, assign the repository, assign the 2GB iSCSI LUN to the pool for it's cluster configuration data and actually configure a virtual machine. I configured an Ubuntu VM with just 512MB of ram and one iSCSI LUN. Finally after so much success, my LAB failed me at the most crucial stage. Starting the virtual machine. - It would not start. It turns out that VirtualBox does not present hardware acceleration to it's guests. So my OVS guest was running without any hardware acceleration in the virtual CPU. OVM was not able to start the VM. What a shame but there you go. The good news is that many of the minor irritations in OVM3.0.3 seem to be cleared up and folks are able to now use VirtualBox for their LABs but they can't start OVM Virtual Machines if their OVS is actually a VirtualBox guest. Next step... Commandeer an old server somewhere, install OVS, bind it to the right LAN and carry on. You can't easily monitor the network on the built in NAT. So if your VM is misbehaving, you couldn't use tcpdump to troubleshoot. The built in NAT reaches directly to the Internet in a transparent manner. If you wanted to control access to the Internet you would have to switch to a bridge device or go with host-only. So with some simple tweaks to your host, you can NAT the VirtualBox host only network and enjoy some extra features. 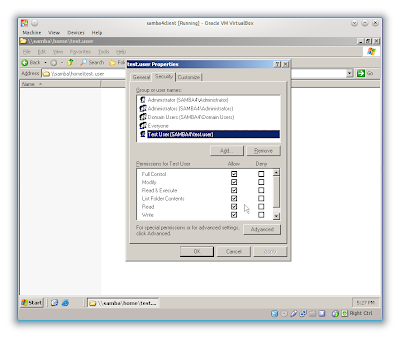 In VirtualBox create a default host-only network. This is done in File -> Preferences -> Network. Click the green icon with a PLUS sign in it. A new network is created called vboxnet0. 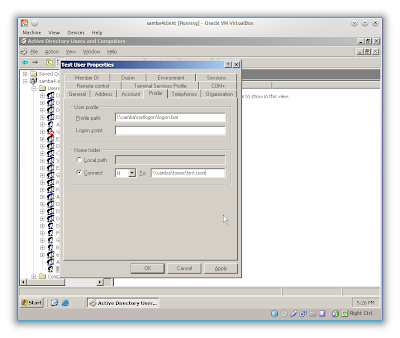 Then click the little screwdriver icon to edit the vboxnet0 settings. Select the DHCP Server tab and make sure "Enable Server" is unticked. It will be ticked by default. Make sure that the DHCP server is not enabled. This is important because you will configure DHCP with dnsmasq on the next step. Then install dnsmasq. You need this for DNS. I like that with dnsmasq, and dhcp client id's specified on the VM's, I can do things like "ssh vm_hostname" from the host pc. I have not bothered to learn how to do this with ubunut's default UFW becasue I don't much like UFW and so don't use it. # Accept SSH If you have openssh installed that is. #turn on ip forwarding. Can be done in /etc/syctl.conf - As I said - lazy. 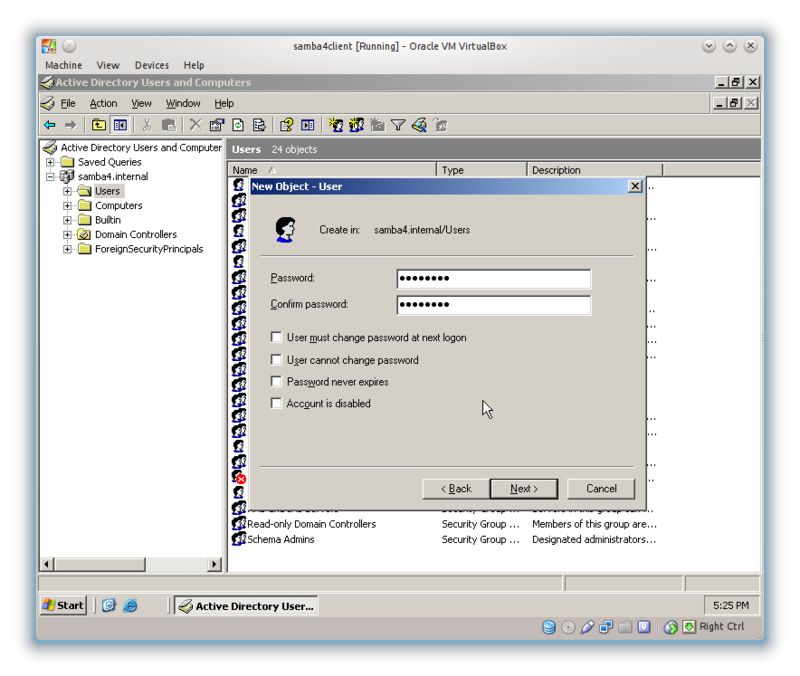 Now change the nic on your VirtualBox vm to a Host Only network and start the VM. If you did everything right, your VM will start, obtain a lease from dnsmasq and have access to the internet. The firewall rules above allow everything from VirtualBox to go out on the internet. If you wanted to lock things down a bit, you could add more rules to do so and remove the line that accepts everything from the 192.168.56.0/24 subnet. Having worked a little with XIV I have come to like the "xiv_devlist" tool. "xiv_devlist" lists all the attached disks on the SAN and the number of paths that are currently active. This is very useful when you want to ensure that all the paths to storage are active. It surprised me to find that there are no useful tools to parse the output from Multipath. So if you wanted to check that there are 4 active / ready paths to each "mpath" disk, you would have to visually scan through the whole output above. A simple perl script that takes the output from multipath -ll as its input, can make this task much simpler. EDIT: Revised script (2012-04-29) Added size, Removed flag variable from script. Call "multipath -ll" from inside the perl script thus remove the requirement to pipe the results of multipath -ll into the script. Make sure multipath -ll is a valid system call. Add a summary of the results, IE: 18 paths found, ALL GOOD. Add a check to ensure user is root at the beginning of the script and exit with message if not. Sort output results in order of mpath number. Policing my network - well not actually policing it, just locking it down. I have decided it's time to worry about what my kids might find on the Internet - my oldest is approaching 7 and beginning to spend more time on the 'puter. So here is the plan. Not completely implemented just yet but getting there. Enable mac address filtering on the router. Only devices I know about are allowed to connect to the wireless router and a password is still required to gain access and an IP address on my LAN. - DONE! It works great and a quick visit to my router admin page shows me who is currently using it. Look this is just good sense. If you are not doing mac address filtering book-mark this blog right now, and go and configure your router! Impliment openDNS or similar on border router (ADSL router). Now nothing in the network will have access to said scary stuff except google image searches that is. 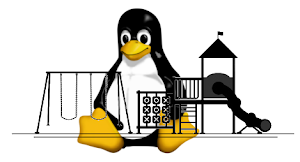 Build small Linux desktop for child. -- Here it is. The bit about Linux. I intend to revive an old P100 or something slow like that I have lying around with a stable 12.04 (LTS) version of Ubuntu but with LXDE desktop to keep things sane. Then I will configure PAM to restrict login times for the boy's user account, and then show some pop up warning (called by cron) so the boy has a chance to log out gracefully. Because we don't want him on the thing all the time. I have heard that kids will be up all night (just like me - it's now 00:25 in the morning) using their 'puters. So here are some links that might be useful. So as I progress through all this, I will post here about how it all goes. Of course, if I was LOADED,$$$, I would buy the boy a MAC. Apparently they have this sort of functionality built in. Tee the output into a log.